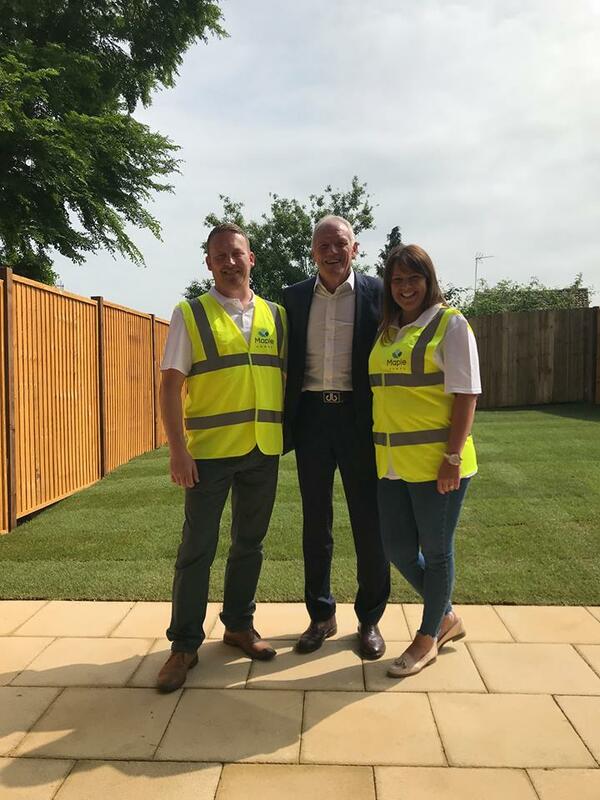 We were very excited to welcome ex-footballer Eddie Gray to our Woodhouse Vale site in Hunslet, Leeds, over the summer – the Leeds United legend called in en-route to a charity golf match we supported to help raise money for Wortley Football Club. After officially unveiling our brand-new show home, Eddie was happy to welcome some of our new residents to the site. He even signed some shirts and footballs which we gave away on our Facebook page. 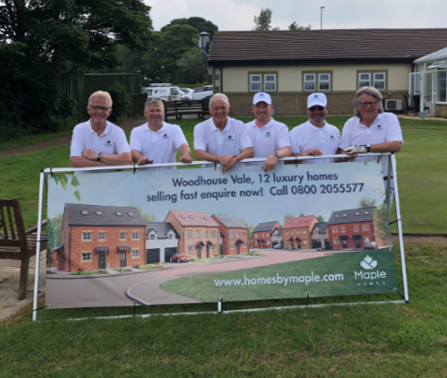 After that Eddie and some of our team headed up to Bradford Golf Club in Hawksworth for the special sports event which aimed to raise funds for new facilities and an upgrade of the pitch at the Leeds based football club. Our boys did us proud and, though they didn’t win, they didn’t come last either. A fantastic day was had by all and seeing they were supporting such a good cause, we’d say it was a good result either way! As you know, we’ve been doing our bit to support grassroots sport: we are proud to sponsor Hunslet Nelson Cricket Club and Hunslet Warriors, two of our local clubs that are well supported within the community. Shortly after we began working with the cricket club, they sadly fell victim to some theft and vandalism onsite. 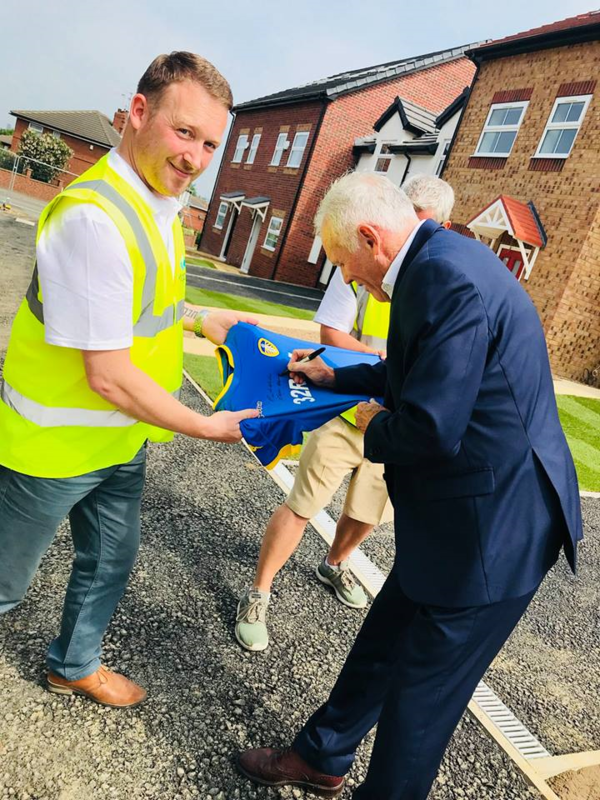 We were keen to help out, so – on top of the sponsorship deal – we stepped in with a £500 donation to cover the insurance excess and replace the stolen turf and we’re even lending a hand to help them build a new club house. Our relationship with Hunslet Warriors was one of the first activities that saw us get involved with supporting our local community. Every weekend we are proud to see the Maple Homes logo emblazoned on the shirts of their younger players. “It’s nice to put something back into the community instead of just turning up building some houses and going away like most developers” said Tom Robinson added during Eddie Gray’s visit to the site. For more news updates join us on Facebook.